When the general population pictures surfing, they usually imagine a blazing sun beating down, undeniably blue waters cresting perfectly, and surfers in boardies and bikinis. But, are the simmering hot days of summer really the best time to be out surfing? Don’t get us wrong, there’s nothing like soaking up the sun while riding a wave, but, some of the best surfing conditions around the world occur when winter sets in. Here are some of the best winter surfing destinations around the world. Donegal is home to some of the best waves in all of Ireland. 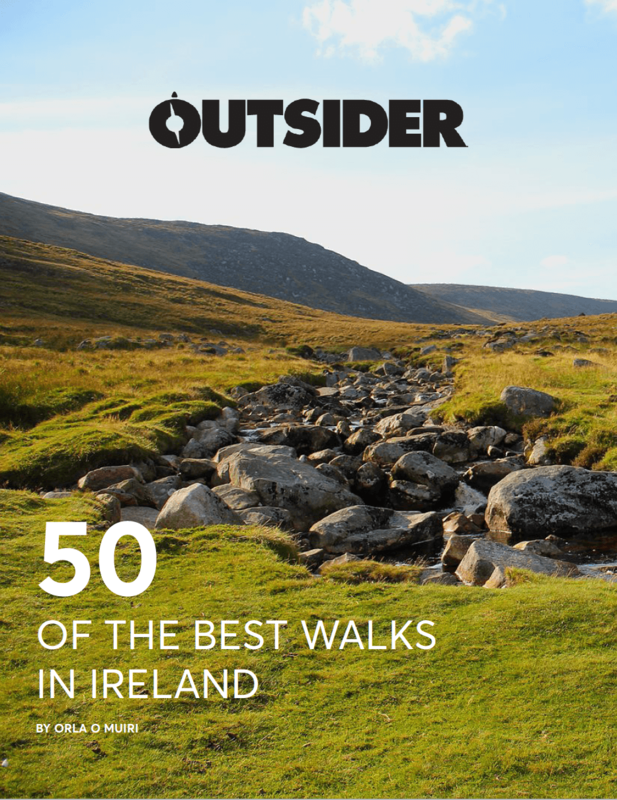 The north of the county hosts the beaches of Inishowen and Fanad Head, while in the north-west, you can catch waves around Dunfanagh, Bloody Foreland and Dungloe. If you want a quaint town with some epic surf, head to Ireland’s surfing capital, Bundoran. This coastal area has a huge range of beaches, reefs and point breaks. From the consistency of the Tullan Strand to the excitement of The Peak, all levels of surfer can find their niche here. Suitable for both beginners and more experienced surfers, Sligo offers internationally recognized beaches such as Enniscrone and Strand Hill. Enniscrone has a number of surf schools along the beach, so those looking to try their hand at surfing are more than welcome on the waters. Further to the west of Sligo, beaches like Aughris and Easkey also serve up fantastic waves and inviting surf schools. The rugged coastline of Clare allows the mighty Atlantic to do her worst – which means cooking up some epic surf for the rest of us! Lahinch in Co Clare is a surfing haven, complete with exciting surf, a number of surf shops and beginner’s surf schools. 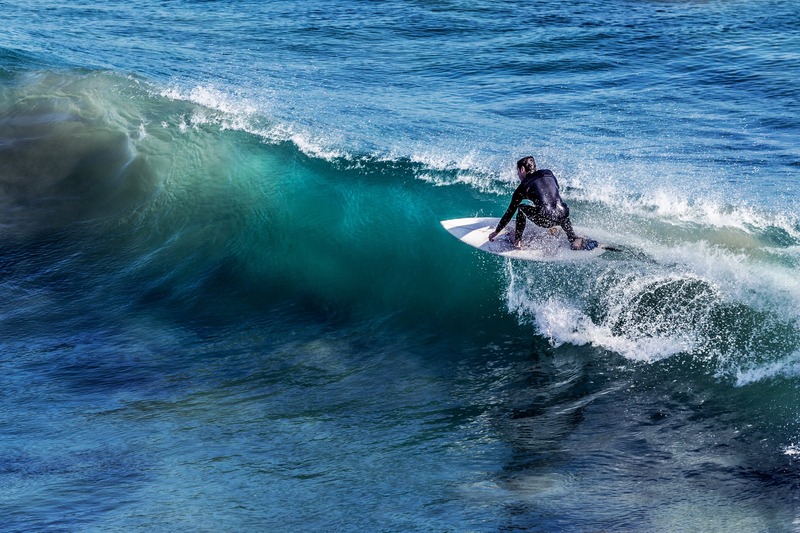 Fanore, Doolin, Doonbeg and Spanish Point are other thrilling spots in the county sure to give you your wave fix! Belmullet and Keel Strand on Achill Island provide a nice sandy bottom for beginning surfers to get comfortable with. Atlantic swells come almost consistently and have been known to reach three metres high. Meanwhile, Bertra Beach near Westport also gives beginners a fairly generous mix of calm and epic waves to help build up skill. The diverse coastline of Ireland’s southwest creates an exposed shoreline that is almost guaranteed to provide drool-worthy waves. Co Kerry’s most popular locations are Ballybunion and Castlegregory. These spots are suitable for all levels. Surfers also flock to Clonakilty in West Cork for its serious breaks, sandy shores and views of the Wild Atlantic Way. Essaouira Bay is the ideal spot for a relaxing surf session. The spot offers soft swells of various sizes for beginners to adjust on the surfboard. Plus, since the bay has a soft and sandy bottom, it is a safe space for novices to brush up on some skills. Lying just outside the quaint village of Imsouane, The Bay offers some of the longest waves in Africa, with some reaching 600m long. This is a haven for beginners and longboarders looking for a long, smooth ride. This right-hand beach break has a sandy and rocky bottom with fast, thrilling waves that can reach up to 300m. It is a perfect place to learn how to get knocked down and get back on the board. Don’t let the name of this spot scare you, it has some of the most consistent waves in the Taghazout area. With fast sections, bowls and barrels, there is truly a wave for everyone here. During the low tides, small swells offer gentle waves for beginners. But, when the tide comes in, these waves have some killer barrels. This break got its name from a shipwreck that looms at the bottom of the waters in this area. These waves are tricky, fast, strong and hollow, so this spot is best used by experienced surfers. If you’re looking for an adrenaline rush, this is the place to get it! Sharp rocks line the beach of Dracula, and a heavily demanding break will push even experienced surfers to the next level. 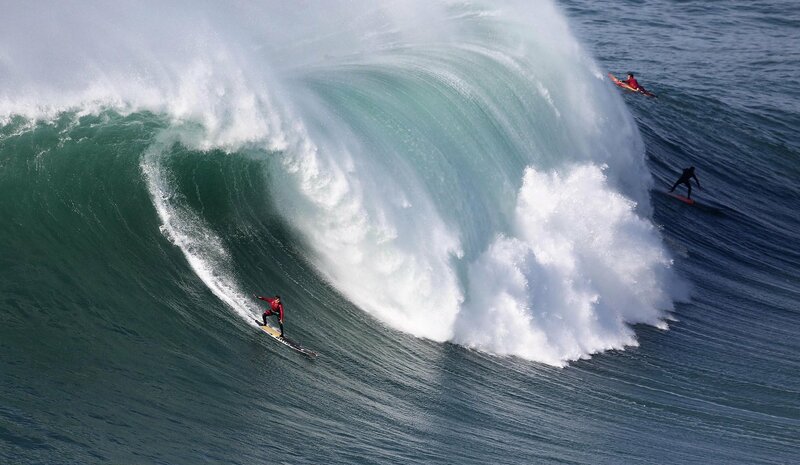 It is tricky to paddle in and out, but the thrilling waves are well worth it. Plus, crowds are rarely an issue here. Numerous surf schools line the beach of Matosinhos, making it one of the best spots to learn how to surf. This beach also promises over 300 days of surfing each year, so it’s a reliable choice! Meia Praia boasts some of the warmest water temperatures in Portugal. So, if you’re tired of jumping into freezing Irish waters every morning, this might be the place for a break! The spot lies right outside of the Meia Praia, offering great restaurants and bars, making this a perfect spot for a beginner’s surfing vacation. This is a spot that is completely exposed to the full force of Atlantic swells, meaning powerful, large and heavy waves are abundant. Leça da Palmeira is a favourite of the Porto region, so head over and check it out! Cabedelo has hosted several World Championship Tours due to its consistency in powerful waves. Rides can last up to 300 metres, and the local jetty produces many fast and hollow waves. The Praia do Norte is not for the faint of heart. Here, there is no room for mistakes. This spot is home to Nazaré, the biggest surfable wave in the world. In 2017, Brazillian professional surfer Rodrigo Koxa rode this behemoth 24.38-metre wave that sent him into the Guinness Book of World Records. Since then, surfers from all over the world have tried to break the record. Supertubos is the most photographed wave in the country – and for good reason! This epic break faces wind from every direction, creating consistent surfing swells almost year round. These waves are intense, so they are best ridden by experts. Bondi Beach is an Australian classic and one of the most popular beaches in the world. Surf schools and board rentals dot the entire length of the beach, so many beginners choose this spot to take their first steps into surfing. Manly is another one of Australia’s most famous surf beaches. Not only is this a great place to learn to surf, but you can also begin to take your surfing skills to the next level. There are numerous surf schools in the area, and the waves can vary from large swells to long, soft waves. Snapper Rocks, which lies at the southern tip of the Gold Coast, is the most popular starting point for the world-renowned Superbank. Superbank is a man-made surf break and one of the longest rides in the world, consisting of multiple barrels. Just beware, the crowds can get pretty heavy here. Burleigh Heads is known for having one of the most beautiful and mystical point breaks in all of Australia. It offers incredible barrels that break over soft sand, and the conditions are most reliable between February and May. Since this spot has several sections, head to The Point, located at the southern end of the beach. This spot makes long spinning tubes to ride all day. The Aussie Pipe is definitely reserved for experienced surfers. The waves are powerful, short and hollow, creating a thrilling ride. And, to get your blood pumping even more, the sea bottom is usually infested with sea urchins, so, be careful! This powerful surfing scene is located about 3 hours south of Perth. Surfer’s Point is home to one of Australia’s most iconic waves – Mainbreak. Mainbreak is one of the most consistent (6-metre) waves that breaks off a dangerous offshore reef. This is one of the few places in Australia where surfers actually wear helmets. Jeffrey’s Bay offers an incredibly consistent amount of surf, amazing swells and rides that last up to 800 metres. The most popular spots in this area are Kitchen Window, Magnatubes, Boneyards, Supertubes, Impossibles, Salad Bowls, Coins, Tubes, The Point and Albatross. With favourable wind conditions, regular swells and warm waters, Durban is home to some of the most consistently good waves in the country. The most popular surfing spot is Dairy Beach. Surf lessons and board rentals are abundant here, and the soft sand and long waves make it a great spot for beginners. Wild Coast is an excellent place to search for some adventure surfing. With some of the most beautiful, rugged, coastal scenery in the world, you’ll enjoy remarkable views while catching reliable surf. Ntlonyane (Breezy Point) is one of the best spots to surf in this region in the winter. This beach provides the most consistent shore break in the Western Cape. A permanent sandbar lies in the centre of the break, creating epic waves breaking on either side. This legendary surf spot is certainly meant for the brave and experienced surfer. A section of the Red Bull Wave Competition is even held here, as the enormous waves remain difficult even for professional and competitive surfers. This spot is only accessible by boat, but the journey out will be well worth the adrenaline-filled rides down. Surrounded by massive rock boulders and towering mountains, Llandudno is one of the most picturesque scenes in the world. The turquoise blue waters and soft white sand are alluring, but the surf is what brings in the crowds. These waves are extremely hollow and powerful, and the large rocks looming on the sides can be extremely dangerous for inexperienced surfers. Midigama is a perfectly mellow surfing spot that is great for beginners. The gentle point breaks offer long rides up to 500 metres, and the breaks are also longboard friendly. Hikkaduwa is considered the surfing capital of Sri Lanka’s southwest coast. Cafés, bars, surf schools and rental shops line the beaches and the calm breaks are suitable for novice surfers. Crowds are certainly not a problem at this hidden gem in the southern province of Sri Lanka. The stunning bay has a mellow break that is suitable for a relaxing surf. Plus, there may even be a chance for you to surf with local dolphins. Arugam Bay has an enticing, laid-back vibe that contributes to it becoming one of the most surf-friendly places on the island. The bay breaks over a reef and provides fast sections and some long rides. Mostly suited for more experienced surfers, this main break at Okanda is completely exposed, which makes it technical and untamed. The waves here are steep and fast, with some barreling sections near the shore. With multiple take off points, this spot is rarely crowded, giving you some much-needed peace and quiet. The waves here offer amazingly long rides, reaching over 800 metres.